We are celebrating our 21st Anniversary providing Music Therapy services to people with disabilities throughout the San Francisco Bay Area. 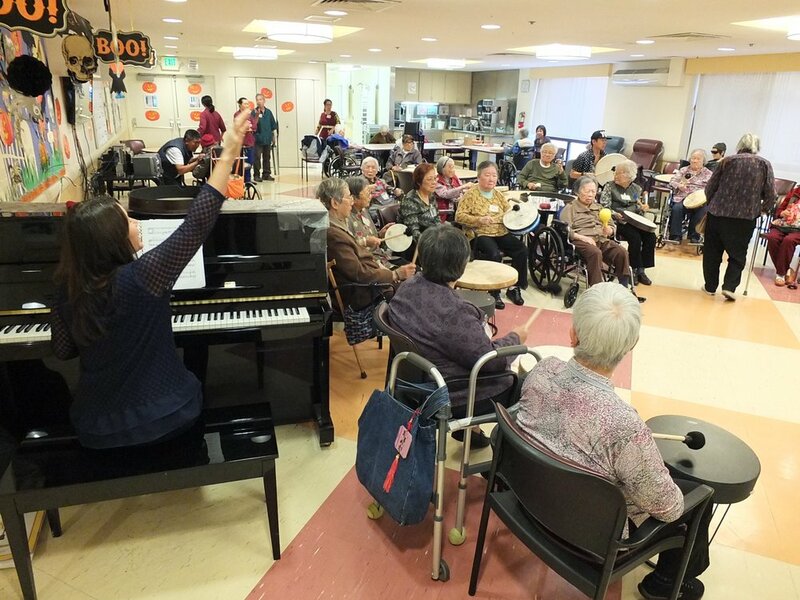 Since 1997, Founder Kathy Quain, MME, MT-BC, has lead a team of professional Music Therapists in providing services to children, adults and seniors in diverse settings including schools, Alzheimer's programs, group homes and day programs. We are now also providing music programs to the general public including the monthly Lamorinda Drum Circles and have added a University Affiliated Music Therapy Internship program. Enjoy our website, join our mailing list, attend an upcoming event and contact us to schedule a tailored music therapy program. Five minute video published by the California Health Report. 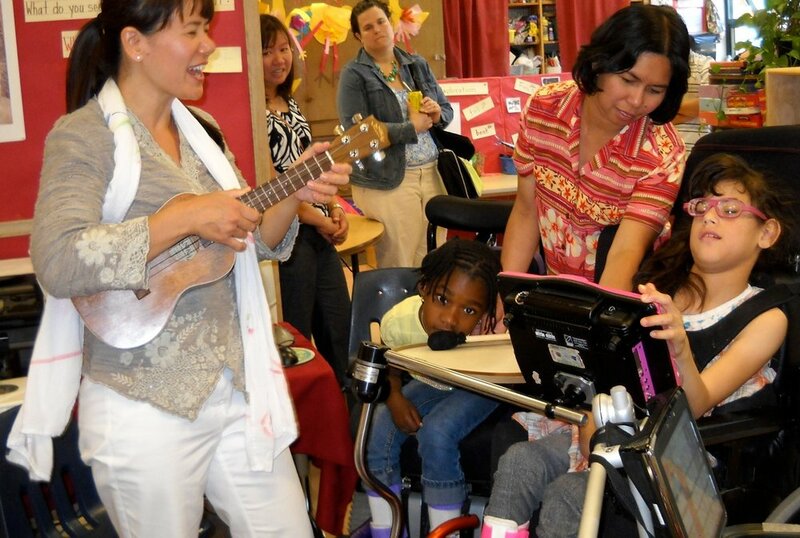 There are a variety of individual and group programs that Music For Therapy provides. One of our specialty programs is Drummin' For Life which engages participants on multiple levels simultaneously including physically, vocally, cognitively, socially and spiritually. Drummin’ For Life is an accessible, fun, social program that allows each person to participate at one’s own comfort. 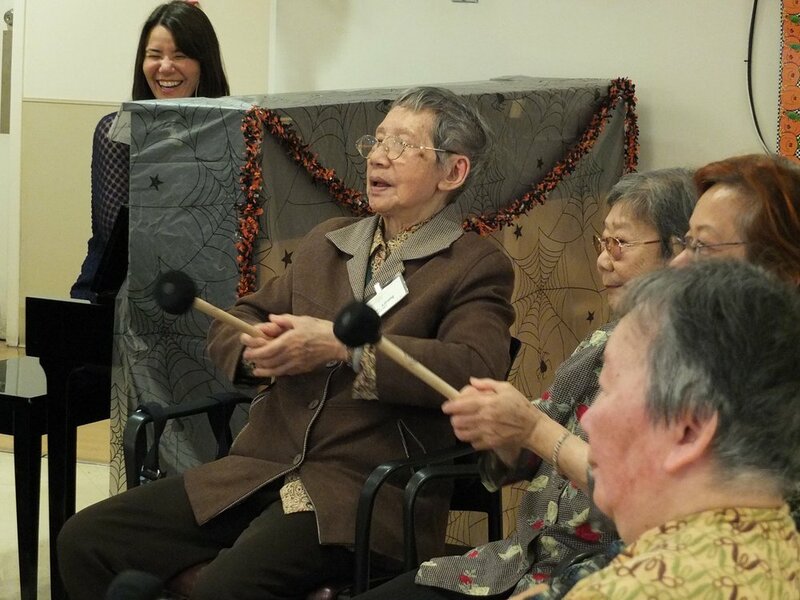 Take a look at seniors drumming, singing and creating. Music For Therapy is happy to host a 6 month full-time Music Therapy Internship program for students completing their university training in Music Therapy. Click Here for more information.